There comes a time, as a photographer, where you just need some new stuff. I took care of that craving this evening with a little B&H Photo late-night, online purchase! 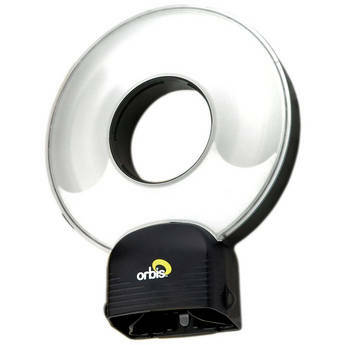 Among the toys on the way, the Orbis Ring Flash Diffuser has me most excited. Another new toy that has me curious, are the telescope mounts I need in order to connect my camera to my telescope for crisp photos of the heavens. I am not quite sure how the learning curve will go once I get it all fired up. I would expect more from this sometime near the next full moon (its the easiest object to practice astrophotography on). A couple new memory cards on their way. They are much needed. When I go out with two camera bodies, I occasionally find myself switching memory cards instead of lenses. Now, I should be able to do both, far less often! Sticking to good quality name brands (Sandisk) with high speeds, but relatively low storage amounts (4GB). These are right for me since I never "fill" a memory card, and make an effort to empty them after every day of shooting. These are the Wimberly "Plamps". 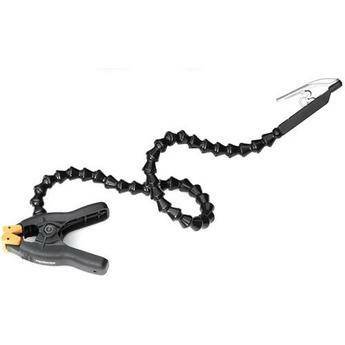 Gooseneck arms with clamps at either end. I expect they will prove most useful when either a) I need to hold a reflector or a gobo in the studio/outdoors or b) in windy situations outside if I need a piece of foliage steadied, or held securely out of the way. They seem like a good concept - giving photographers extra hands almost. So I am hoping they will pay off. Aside from what is mentioned above, there are two Honl Grids coming for my speedlights. I made a DIY one last year that worked very well, but the glue wasn't right for the job and slowly started falling apart. 90% of my photography gear comes from these guys, except when the exchange is too brutal. Majority of the time, after including the duty fees and ups delivery, shipping in from the states will still work out to be cheaper than finding the same products shipping for FREE from inside Canada at Canadian Prices. Hoping I get my new toys before the weekend! I paid extra for the 1-2 day shipping and it was ordered late wednesday night, so its a gamble but maybe luck is on my side.